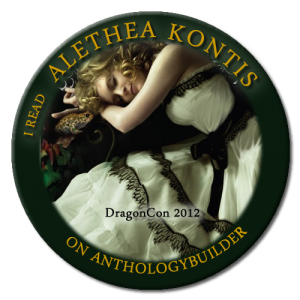 A bunch of us are over on Twitter (@aletheakontis) chatting about free books, swag, and the downsides of being generous. But don’t concentrate on the bad…let’s think about the good stuff! Like always, I will have lots of free swag to give away at Dragon*Con. 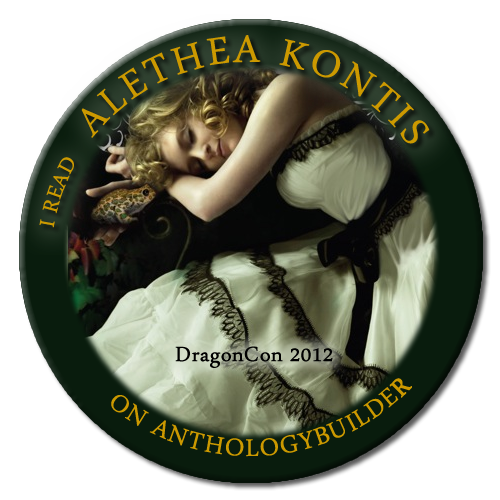 There will be the 48 bags of freebies for Princess Alethea’s Traveling Sideshow, as usual, and there will be a new Anthology Builder pin designed by Anthology Builder’s own Nancy Fulda! This is the third limited edition pin, for those playing along at home…be sure to find me during Dragon*Con to get one! 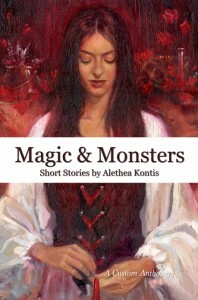 And if you don’t have my AB collection of short stories, Magic & Monsters, now’s the time to pick it up! This entry was written by Princess Alethea and posted on August 7, 2012 at 11:38 am and filed under appearances. Bookmark the permalink. Follow any comments here with the RSS feed for this post.